La Sportiva tried selling racing suits in North America a few years ago. Unfortunately the suits were too awesome for the nascent local market, which couldn’t stomach the nearly $600 price tag. Not a company that accepts failure, La Sportiva has managed to produce almost-as-awesome suits (just missing the previously included hood and gloves) at a *much* better price. Boot buckle cutouts on the cuff will save you from fumbling with pants during transition. Large front skin pocket is a must have feature so you don’t have to remove your pack. Water bottle pocket keeps your hydration close to you for quick access and to prevent freezing. Seams are sewn flat and reinforcements can be found in the shoulders to resist pack wear. Zippered transceiver pocket has outside access just in case the unthinkable happens. Zippered fly has outside access just in case the thinkable happens. Internal pockets keep you organized for the long journey soon-to-be behind. Discrete pocket sewn into the collar to store external headlamp batteries. Update 2016/17: The suit has a new, faster color scheme. Hey Vicky! I'd go for a small, or if you like your spandex to fit tight, the extra small would be fine as well! I was just about to click order and then a question popped into my head. My son is downhill racing in high school. is this for downhill? Hi Rory, no, unfortunately. This is a skimo racing suit, for racing up and down mountains. It's missing the gate-knocking padding found in downhill racing suits. Do you have a size chart for the cyborg race suit? Hi Rory, you should find the link next to the drop list containing the available sizes. Let us know if you need any advice based on it! I'm 6 ft. 160 lbs. I need a medium right? Hi Toph, that should be spot on. Five Stars for a very nice suit overall, and at a very nice price too. I previously had the separate Syborg top & tights, but I liked the pocket configuration so much that I recently bought the suit too, even though I already have suits from Crazy Idea and Dynafit. - The 2016/17 version appears to be available both with and without the exterior zippered pocket. The Skimo Co version is shown as having it, but some other etailers appear to lack it. - The zippered fly is diagonal. Perhaps this is intended to help when wearing a harness for towing a partner in two-person team races? Or perhaps it's just that you can marvel at the novelty of a diagonal zippered fly? - No hood, but very few suits have that now. Otherwise, this suit pretty much has it all. - "Update 2016/17: The suit has a new, faster color scheme." The color scheme indeed adds some flashiness to the more basic bumblebee black & yellow colors of my older Syborg separates, but after multiple time trials, I have yet to be convinced that it's any faster! Yipes, important correction to my review: although the 2016-17 version retains the older interior beacon pocket with the flap-style closure which is no longer ISMF compliant, it now also has a zipper-closure beacon pocket that opens only to the inside as per the new ISMF rule. Hi!l am athletic 5'10" & weight 141lb2oz（64kg）.Which one should I choose?US S or US M? Hi Norio, it can depend on you measurements, but a US small would likely be the best for you. I don't understand the stirrups. Do they go outside or inside the boots? If outside, how do you work the buckles.m? Hi Frank, the stirrups go outside (underneath) the boots. There are reinforced areas in the fabric which you can cut out to expose the buckles on your boots. Hey Bryan, small would be my choice as medium might be a bit long. I am 5' 8" and a wiry 130lbs and I fit the small just fine. 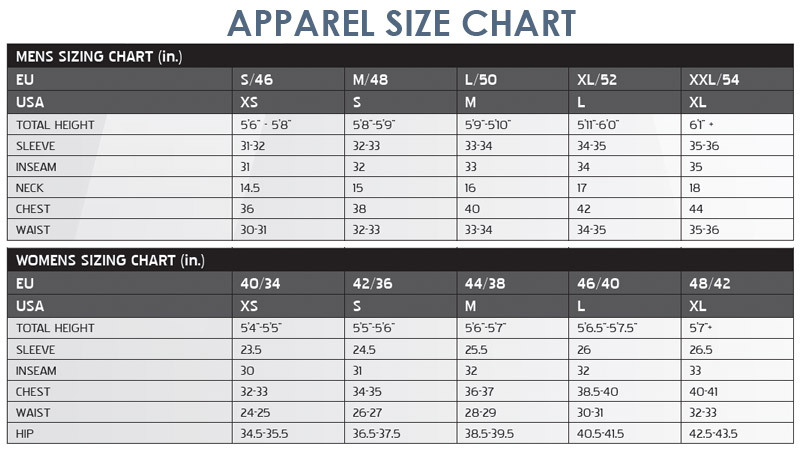 Hi Bryan, the sizes listed are US sizes, which are shifted from Europe (e.g. US Small = EU Medium). Are the heel stirrups meant to go underneath the sole of the boot? Seems like a stretch for the fabric though I am trying to figure out the best fit for a pair of aliens. Hi Daniel, yes the stirrups go under the sole in the arch area. To operate the lever you'll need to cut open a slot in the reinforced area of the cuff.